Find out the applicable tax rate and tax exemption, conduct tax calculations and prepare tax report monthly and annually of INPEX Indonesia activities on production sharing (PPh Migas), joint venture, and special cases, to ensure proper tax treatment and payment according to the prevailing tax regulations and to submit tax report within the timeframe. Coordinate tax audit, tax objection, and tax appeal relating to INPEX Indonesia entities and communication with tax consultants. Monitor and identify taxable entities related to INPEX Indonesia activities on productions sharing , joint venture(s), and other special cases; find out the applicable tax rate and tax exemption according to the prevailing tax rules and regulations and conduct tax calculations; coordinate and provide recommendations and solution to solve tax objection and tax appeal; to ensure proper tax treatment and payment. Monitor and review tax document completeness and perform filing of annual and monthly corporate tax return, for INPEX Indonesia entities related to productions sharing, joint venture(s), and other special cases, prepare tax report; in order to ensure relevant taxation, complete tax documents, and tax report submitted to the Tax Office within the timeframe. Compile and collect tax documents, become primary contact during taxation audit process and provide tax documents and files required by Auditors; coordinate with related parties for the Auditor specific request; to ensure tax documents are kept and maintained in line with Company policy and procedures. Keep update tax regulations and provide recommendations, advance expertise and broad knowledge to interpret new/revised tax regulations; provide explanation on taxation matters to other department, joint ventures, partners, contractors, and suppliers; to ensure taxable transaction on productions sharing, joint venture(s), and other special cases of Company activities meet the prevailing rules and regulations. Compile and collect tax documents, become primary contact duringobjection and appeal processes, and provide tax documents and files required by Tax Office or Tax Court; coordinate with related parties for the Tax Office or Tax Court specific request; to ensure tax documents are kept and maintained in line with Company policy and procedures. Bachelor degree in Finance, Accounting, or Economics. Tertiary degree in Finance & Accounting is preferred. 1 – 10 years experiences. Tax training in Oil and Gas Company is required. Discipline: Finance & Accounting, Tax, Economy. Coordinate with related Department (HSSE and BCP Department ?) in completing certification for bidders which provide medium and high risk materials and services in Jakarta Office general services; to ensure bidders with high risks services/job are certified according to Company policy and procedures. Discipline: Any Discipline, Engineering - Industrial. For more detail information and submit your application, please visit and apply via link bellow. If the link can't be opened then the vacancy has closed. Announcement of selection results published by INPEX is officially done by phone or email to the selected candidates. If you are in doubt, you may verify the information by contacting our recruitment team. FRAUD WARNING!!! Please be aware of recruitment fraud which recently existed and is conducted by irresponsible parties claiming to be affiliated with INPEX. Our recruitment team will never request any money or payment during the recruitment processes. 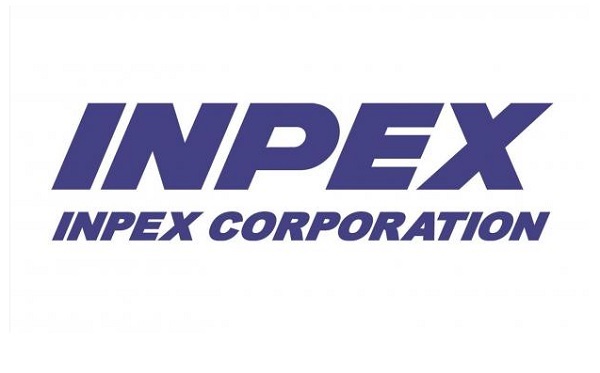 Thanks for reading INPEX Jobs: 2 Positions. Please share...!